In this day and age, developing renewable resources and fuel alternatives to power our world is more important than ever. Facilities in all industries are in need of fuel sources that are sustainable, reliable, and renewable, as our supply of fossil fuels continues to become more and more depleted. The extraction of oil from algae and microalgae for biodiesel production is an incredibly innovative solution to our energy problem – one that continues to be explored and developed. At American Heating Company, we are proud to provide industrial heating products used in algal biofuel production. Our thermal fluid heaters are ideal for use in the process of developing and producing algae biofuel, which can be utilized as a source of renewable energy. 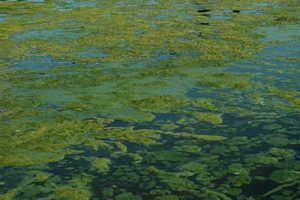 Algae is a promising resource when it comes to producing biodiesel. A renewable resource, algae can be utilized on an industrial scale to create carbon-neutral biodiesel, which can be used as fuel. Process heating is necessary for the extraction of oil from algae. As a result, thermal fluid heaters and heat exchangers are instrumental in facilitating the production of algal biofuel. Organizations interested in exploring this unique alternative fuel source have turned to the process heating experts at American Heating Company for the equipment they need to pursue algae as a source of energy. From our innovative serpentine coil thermal fluid heaters to our reliable, durable heat exchangers, we are a one-stop shop resource for all the industrial heating products they need to transform algae into valuable biodiesel fuel. When it comes to efficient heating systems for the biodiesel industry, American Heating Company has the products you need. Whether you are looking for one component of a thermal fluid heating system or you are interested in upgrading the entire thing, we have the experience and expertise to help you do so the right way. From custom industrial heating solutions to standard thermal heating products, we do it all. Our hot oil heaters are durable, efficient, and cost-effective and our customer service can’t be beat. Plus, our heaters are ASME code compliant and made in the USA. Give us a call today at (973) 777-0100 or complete our quick and easy online contact form to learn more and discuss your specific industrial heating needs.